In celebration of our 10th Anniversary, between 27th – 30th November 2013 Kwani Trust host a series of literary, creative and artistic events that reflect on our work and its place in the literary history of Kenya, East Africa and the continent. These events mark the beginning of a series of conversations that engage with our 10 year history as a Kenyan literary network and with contemporary Kenyan writing before, during and after this period. In this spirit, we host Kenyan writer, Yvonne Adhiambo Owuor whose story ‘Weight of Whispers’ published in the first edition of the Kwani? journal in 2003 won the Caine Prize for African Writing, placing Kenyan contemporary literature and Kwani? on the regional and international map. Yvonne will give an Inaugural Kwani? Annual Lecture at Kenyatta University and launch her debut novel, Dust, which will be published by Kwani Trust in East Africa on November 29th 2013, and by Knopf in the USA in January 2014. 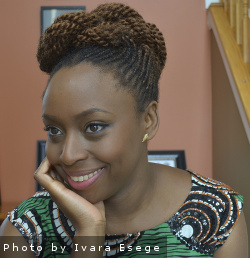 We are delighted to be welcoming award-winning Nigerian writer Chimamanda Ngozi Adichie. Chimamanda’s first novel Purple Hibiscus was longlisted for the 2004 Booker Prize and her second novel Half of a Yellow Sun won the 2007 Orange Prize for Fiction. In 2010 she was part of The New Yorker’s prestigious “20 Under 40” fiction issue and her acclaimed TED Talk ‘The danger of a single story’ has been viewed over 5 million times. Chimamanda will give an Inaugural Kwani? Annual Lecture at the University of Nairobi, reflecting on 50 years of African Literature and the place of contemporary writing during this period. 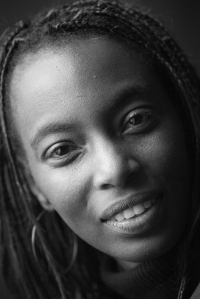 Kwani Trust will also launch an East African edition of her third novel Americanah. Offering a visual art retrospective that reflects on a shared sensibility between photographers, writers and other artists, Mbithi Masya (Just a Band) has curated a video art installation that expands our 10th year anniversary programme from literature to a conceptual space for visual narratives and expression. A lecture by Dr Mbugua wa Mungai of Kenyatta University on ‘Kenyan Contemporary Literature In The Context Of A 50 Year Old Kenya’. Readings by Binyavanga Wainaina, Yvonne Adhiambo Owuor and Chimamanda Ngozi Adichie. Awarding of the Kwani? Manuscript Prize by Ellah Wakatama Allfrey to winners Jennifer Nansubuga Makumbi, Saah Millimono and Timothy Kiprop Kimutai. 7.30pm at Marshall’s Warehouse / 10th Year Anniversary Party Entry: 1 Copy of EITHER Dust OR Americanah (priced at the discounted rate of Ksh 1,000)The joint launch of Yvonne Adhiambo Owuor’s Dust and Chimamanda Ngozi Adichie’s Americanah. The event also features visual art retrospective curated by Mbithi Masya (Just a Band) and readings from Muthoni Garland, Mehul Gohil, Parselelo Kantai and Billy Kahora.